A leading car retailer across Devon and Cornwall, Vospers Group has also made its mark as a rental company. Representing many popular brands, Vospers dealerships are largely dedicated to the sale of new cars and vans. The company also operates used car centres in Plymouth, Exeter, Truro, Torbay, St Austell and Plympton for anyone seeking an affordable alternative to buying brand new. Other services available at Vospers dealers include contract hire plans for business users, Motability schemes, aftersales, and finance options to help you buy your ideal car. For customers looking for a temporary vehicle loan, the group’s dealers provide rental cars, vans or minibuses with no hidden costs contained in the hire contract. 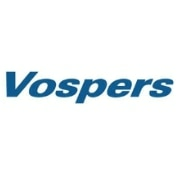 In 1946, Vospers commenced trading in Plymouth. Over the following 11 years the company became a franchise holder for renowned automobile manufacturers, including Fiat, Volkswagen and Jaguar. Through an associated business, Vospers Rentacar Ltd, the company became engaged in car rental and contract hire, alongside retail. During the 1960s, Vospers was a leading dealer for Ford, but subsequent expansions saw franchises across Cornwall and Devon acquired for a variety of car brands. Today, Vospers Group owns 16 different sites in the South West, which sell new and second-hand cars and vans. The company is the proud representative of several car manufacturers, including Ford, Peugeot, Renault, Nissan, Mazda and SEAT. Vospers dealerships sell everything from a compact pre-owned Fiat 500 to a brand-new luxury Alfa Romeo Giulia. The group’s used car dealers also stock vehicles made by other popular marques like Audi, Toyota and Vauxhall. Vospers also supplies a range of new and used Ford, Peugeot, Nissan, Renault and Fiat vans. These vehicles are available with flexible contract hire options, making them perfect for a commercial fleet.